The Armenian branch of Russia's VTB Bank received the Best Bank Award on Saturday based on the results of a survey conducted by Gallup International. The bank edged out 29 other institutions in the financial, telecommunication and construction sectors. VTB Director General Yuri Gusev attributed the success of the bank and the reason for the recognition to the diligence and hard work of the company's employees. He also said that such an achievement is indicative of the team's expanding market and client base. The award was based on interviews with 1,067 individuals across all regions of the country by the Armenian office of Gallup International. 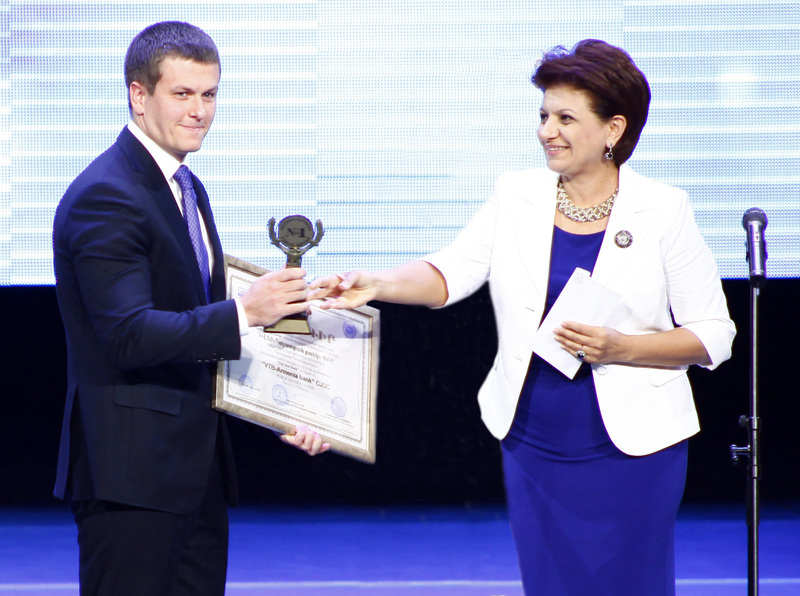 Accepting the award during a ceremony at the Spendiaryan Opera and Ballet National Academic Theater in Yerevan, Gusev also thanked the organizers for providing an unbiased and fair assessment of the bank’s practices, and allowing bank directors to get a clear picture of how to move forward. Want to get notified whenever we write about VTB Bank - Armenia ? Next time we write about VTB Bank - Armenia, we'll email you a link to the story. You may edit your settings or unsubscribe at any time.